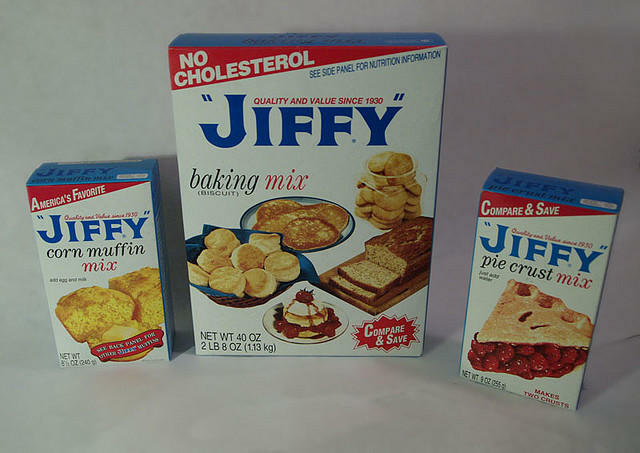 When you think of Jiffy Mix, you may think biscuits and corn muffins. But did you know they are also Michigan made? Howdy Holmes is the president and CEO of Jiffy Mix. His grandmother is the one who started it all. When Howdy’s father and uncle, Howard and Dudley, were young, they had a friend who was being raised by a single parent. The young boys invited their friend over for lunch, and he arrived with a bag lunch made by his dad. Howard and Dudley’s mother was concerned about what the father had made for his son. “She opened the bag and right on top was a biscuit, which she said looked more like a white hockey puck,” Howdy said. Howdy’s grandmother then had a thought. What if there was a product that could save time in the kitchen, and be so easy a man could do it? “And the rest, as they say is kind of history,” Howdy said. Jiffy Mix is made by the Chelsea Milling Company, in Chelsea and uses wheat grown in the state.